"Many have withered away by desiring that which they can never have; do not let that become your fate." Her grandmother&apos;s words echoed in her head as Dylana once again sat in front of the looking glass, marveling at a sunset above the waves. The looking glass was enchanted, showing her the elven lands — though other merfolk saw nothing but a mirrored reflection when they gazed upon it. 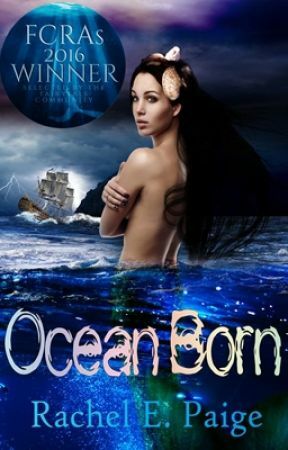 Dylana&apos;s grandmother was a powerful witch, and she had bonded the mirror to Dylana alone, giving the young mermaid glimpses of the world she could not yet visit — not until her eighteenth birthday. Dylana was so close to coming of age now, having spent three years watching the world from behind a mirror. While she had not withered as her grandmother worried, nor did she prosper as her sisters had. She no longer sang from the gardens as she once had on a daily basis, and many thought she had a melancholy nature as she rarely left her room. Her sisters, on the other hand, moved forward in life: the eldest, Delmara, was preparing to take over the throne — it would still be many years, but she had much to learn in that time. Delmara was still known throughout the ocean for having the longest and most beautiful hair, and the middle child, Mareena, for having scales as radiant as a setting sun above the surface. Merfolk came from across the ocean just to have glimpses of the two beautiful princesses, but no one came for Dylana anymore. They had given up hoping that she would one day make an appearance and dazzle the crowds with her melodic voice as she once had. Her father despaired that his youngest would waste away in her room alone, and that he would never again hear her siren-like songs. His only hope was that, once she grew of age, her visit to the elven lands would renew her spirits. The morning of her eighteenth year, Dylana didn&apos;t pick up the looking glass for the first day since receiving the gift. She woke early and instead focused on preparing herself for the trek upwards. It was very far to the elven lands, and she had not swam great distances in a long time. She fixated for a long time on her hair, wishing she had long locks like Delmara, or bright scales like Mareena. 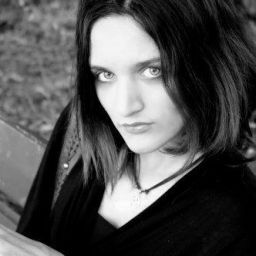 Dylana was very plain looking, with thin black hair and a narrow face. Her scales were a deep green, and her fins only a slightly lighter shade of teal — the most common colors within the ocean. Her bright green eyes were her most notable physical feature. She had once adorned her hair with colorful coral pieces in an attempt to draw attention to herself, but had long since given up trying. She prepared a satchel filled with kelp to eat during the journey, then pushed her way past the seaweed curtain that divided her room in the white coral palace and swam down the long hallway. She passed her sister&apos;s rooms where they still slept, and darted into the throne chamber. Her father, already awake, was being bombarded with news and questions from his royal adviser. Upon seeing his daughter, King Triton cut off the adviser and dismissed him. The adviser looked at Dylana with resentment but held his tongue and he swam away. "Dearest Dylana," her father rose from his coral throne to greet her, "how good it is to see you beyond the depths of your room." He opened his arms to her and Dylana happily hugged her father. "Happy birthday," he added with a warm smile. King Triton was large for a merfolk, though not in the sense of being overweight — his strong frame towered over his subjects and his daughters. His long white beard and hair indicated his age, and the creases around his deep blue eyes seemed to add to their sense of wisdom. He had golden scales along his sides and tail that had paled with age, but fins of shimmering gold speckles. "Thank you, father," Dylana replied with an earnest smile. "I&apos;m certain that you must be very excited to see the world," Triton commented. "I am, indeed," Dylana confirmed. "I know that you worry the journey is long, but I&apos;m ready," Dylana insisted with a twirl of energy. "I know," Triton replied with a sad tone, "I just miss the days when you would sing joyous songs for us." Dylana&apos;s face fell. "I&apos;m sorry, father, truly," she replied. They were interrupted by the sound of trumpet-shells echoing through the palace. Delmara and Mareena had both arrived just in time for a procession to appear at the grand doorway. "The people are here to see you off," King Triton explained. Dylana already knew the tradition, however she had hoped to leave early enough to avoid it — she didn&apos;t want the attention. However, it was too late to leave now; the people had already seen her. "Send them in," Triton ordered in a booming voice, so different from the kind tone he had used only moments earlier. Delmara and Mareena lined up beside the throne, and Dylana took her place at their side. Through the archway filtered in a throng of merfolk of all shapes, sizes and tail colors. "Where is grandmother?" Dylana whispered to her sisters, but Mareena shushed her. "Pay attention," she hissed back. Dylana tried her best to avoid pouting, knowing she was now an example of the dignity of the royal crown and all eyes were upon her. As the last of the merfolk filled the throne room, the royal adviser reappeared with  shell-horn in hand. "Introducing," he called out in a nasally voice, "his majesty, King Triton, and their royal highnesses, Princess Delmara, Princess Mareena, and Princess Dylana!" The crowd gasped in awe as Dylana&apos;s name was called — they had not seen her presence in a long time. This was a moment of great importance, for the people knew it was Dylana&apos;s eighteenth birthday. She had been absent from court proceedings for three long years, and in that time had turned away visitors and suitors alike. The kingdom rejoiced at her return among them, but Dylana wished she were anywhere but there under their watchful gazes. King Triton drifted forward from his throne, addressing the crowd: "It is a momentous day for the kingdom! We welcome you all in joining us to send off my youngest daughter, Dylana, as she travels to the surface for the first time!" The crowd that had gathered cheered. Mareena gave the frightened Dylana a push forward, and she drifted over to float by her father. She looked over the crowd for a long time, and they stared back in respectful silence. Finally, hesitantly, she addressed the crowd in her melodic voice: "I want to thank you for joining me on this special day. It means a great deal to me that so many wish me well." She bowed humbly to them, and every one gathered there bowed in return without breaking the silence. Dylana looked up to her father expectantly. He smiled then hugged her again, tightly this time. "Please stay safe and remember: you must never let a mortal see you," he murmured in her ear. "I&apos;ll be safe," she promised him. She flicked her strong tail and swam upwards, towards the light of the surface world. The gathering all cheered, watching her go. The city of Atlantica looked particularly beautiful on this momentous day, the white coral palace&apos;s walls gleaming with embedded mother of pearls, but Dylana&apos;s eyes looked skyward the whole journey. The closer that Dylana swam to the surface, the more she found it difficult to see in the growing morning light. While the crystal clear waters allowed light to carry very far down, the sea kingdom would never light up as brightly as the surface world. As such, merfolk were born with the innate ability to see in low lighting as well as an elf could see on land. Dylana had to stop many times in order to allow her eyes time to adjust. On occasion, while waiting, Dylana would become distracted following a school of brightly colored fish, or listening to the songs sung by a pod of whales. Soon though, her mind would turn back to thoughts of the elven lands and she would resume her journey with renewed vigor. As the surface came into view, Dylana smiled to herself. She was finally there!